When making the move towards using mobile devices in the classroom, there are a number of practical considerations to bear in mind. This article will draw on the experience we have had this year, in implementing an iPad 1 to 1 scheme with our 6th form. We’ve made many mistakes, and I hope have learnt from them. In the spirit of collaboration, I will share some of them below, in the hope that other schools learn from both what has worked, and what hasn’t. This is a no brainer, but I have heard of many schools who didn’t really take this into consideration when they brought in mobile devices like the iPad. Wireless doesn’t work in the same way as your wired LAN. Every device using wireless dilutes the amount of bandwidth, so having 30 devices will have a major effect on how much of the Internet each device is allowed. There is nothing more depressing than firing up a load of shiny new iPads only to see the spinning wheel of doom as they desperately claw for what little bandwidth there is available. It is vital to capitalise on early student and staff enthusiasm, which is quickly dampened when the things don’t work. So, your biggest investment in the year before you go mobile has to be wireless. We use Meru as we’ve found it works brilliantly. It intelligently tracks movement, so if you’re moving around it will locate the nearest access point and lock onto it. It’s not cheap, but if you want to go mobile you have no choice but to invest heavily. Be aware also that your switches need to be capable of handling increased wireless bandwidth. There’s no point in investing heavily in wireless if the juice coming into your school bottle necks because the switches don’t allow the increased bandwidth through. You need to know one thing: your VLE won’t work very well with your iPads. VLEs like Moodle need access to a file browser to upload stuff, and use an HTML block for formatting. And the iPad supports neither. And they are horribly over engineered and quite unstable. And students don’t like them. And the Moodle apps out there at the moment are buggy and not very useful. Need I say more? Look instead at working with the iPad’s strengths: email, WebDAV, wikis, and an iPad friendly learning environment like Edmodo or My Big Campus. We’ve just moved over to Edmodo as its free, has an iOS app, and enables you to share a student code with parents so that they can access their child’s work and grades. It looks a bit like facebook as well, which makes it far more intuitive. This entails trying to get your network manager’s head around the idea that not having everything on the school network is not going to end his or her job/world. We started off thinking that we needed to integrate iPads onto the network, but soon realised this was a non starter. You can invest in a thin client solution, whereby your iPads becomes a virtual desktop to your school network, but why bother? IPads are iPads, not virtual desktops. If you need a virtual desktop, by a load of PCs or laptops. Think instead of cloud networking solutions. Dropbox is the best one out there at the moment, not because it offers the most free storage (box.net offers more) but because it supports the most apps. The majority of apps that enable linkage to a cloud account support Dropbox, so it should be first choice. Rather than spend a fortune on more network space, set up a faculty account and invite your students to join Dropbox from this account. That way, you get loads of free extra storage as Dropbox reward your recommendations by giving you extra space. Each faculty leader can then set up shared folders, either with the teachers in the faculty or the students. Et voila: a school network liberated from the school network. A word of warning: cloud storage is perfect for low bandwidth files, such as documents and images. For audio and video (especially the latter) look at other ways of storing and sharing content. See below for more ideas. When we first bought our iPads for our 6th form staff and students, we asked them to buy certain apps. However, there are so many free apps out there that you don’t really need to do this any more. Storify: The future of digital journalism? Plain Text: nice clean word processing app with Dropbox support. Nothing fancy, just plain text! Did you know you can embed YouTube into iBooks Author epubs? You’re not supposed to but you can. Just search on YouTube and you’ll find a tutorial. It means downloading Apple’s SDK and enrolling as an app developer, but I managed to do it and I’m an English teacher… What I’m getting at is that one of most powerful features of the iPad is how well it plays embedded video. So learn how to do this, as wikis, blogs, all sorts of digital content enables you to embed. You might want to think, along with iBooks creation, at creating screen- and podcasts. Jing is a great resource, as for about £12 a year you can create unlimited screencast videos of no more than 5 minutes and upload them to YouTube. Others include Screenflow for Mac, and Camtasia. It depends on how much functionality you want. Following on from the above, you need to think about how you’re going to share all this content you’re going to create through iBooks Author or your screencasting application. Enrol with iTunes U – it’ll take a little while for you to become registered as a centre, but once you do you can disseminate your materials on the largest media sharing repository in the world, namely iTunes. The more common way of doing it is through YouTube, but that really depends on whether your school allows access. Personally I can’t see the issue with allowing students access to it – surely our job is all about education? And they’ll have access on their smartphones anyway, so is there much point in banning it? If you are feeling a little unsure still, you can set up your school with a YouTube education account, which will allow educational content without the videos of cats falling off things or babies laughing manically. We’re also looking at webDAV as the main way of sharing larger files. It’s early days for this, but certainly what I’ve seen so far is promising. Watch this space for further developments. 7. How are you going to protect the iPads? We bought a type of smart cover for our iPads, but the problem has been that students have dropped the iPads and the hard shell case has not acted as much of a shock absorber. Personally I would go for a soft shell case, something that will absorb shock on the corners. Make contact. Use your Apple reseller. If they’re rubbish, find another. We use Cancom, who have been very helpful, and have been invaluable in our application for Apple RTC status. Go to the conferences. Go and see other schools who have brought in iPads and don’t think that just because they’ve done it they know what they’re doing, because (like us) they probably don’t. Ask idiot questions as probably we’re thinking of the same things as well. Download Flipboard and follow feeds like ‘pad gadget’ and ‘apple news’, to keep abreast of the latest in tech news. Follow key people on Twitter. There is little point in reinventing the wheel. Those of us who have already started on this road are making loads of mistakes, so learn from us. This is what this article is all about! This is the most important of all. You can have the best ideas in the world and have thought it all out in your head. You can have read all the books that tell you about digital natives and 21st century learners. You can have watched Ken Robinson’s RSA Animate and as many versions of Shift Happens as you like, but unless you get buy in from your whole school community then you’re going to be up against it. Not every parent will embrace their child’s new iPad. Not every teacher will see it as the answer to their prayers. Not even every student will be all that enamoured with it. You have to take things slowly enough to get people understanding how transformative mobile devices can be, to try for themselves without risk, before truly taking the plunge. There are some schools that went all out, investing in one iPad per student from day one, but I have been to some of these schools and they are not using the iPad in a way that can be truly transformative. For me, it is about more than just the device; it is about getting the infrastructure in place. And this does not only mean things like wireless: it includes the intellectual, pedagogical infrastructure that brings with it an understanding of both the benefits and pitfalls of bringing these devices into the classroom. They have the powers to be truly game changing, but only if they are handled correctly. Remember the interactive whiteboard when it was first brought in? We thought it would change things completely. The reason it did not was that no one really thought through the pedagogy behind it. It became a glorified, expensive projector, little more. The iPad has the capacity to become nothing more than a glorified iPhone without the phone, or a nice way to look online. If we want it to raise attainment then we have to take a 360 degree approach from the start, which includes getting buy in. These are just a few of the things I wish I’d known about a year ago. But then, you live and you learn, don’t you? Previous PostThe World’s Strictest Parents? Thanks Adam. I guess we’re all in a similar boat as the iPad is so new. Exciting, if nerve-wracking, times! Pingback: Getting ready for iPad deployment: ten things I’d wish I’d known about last year | So What's It All Mean? A great and really useful post, thank you! This included quite a few things that hadn’t occurred to me! Some really great info here, thanks. Are you on Twitter? 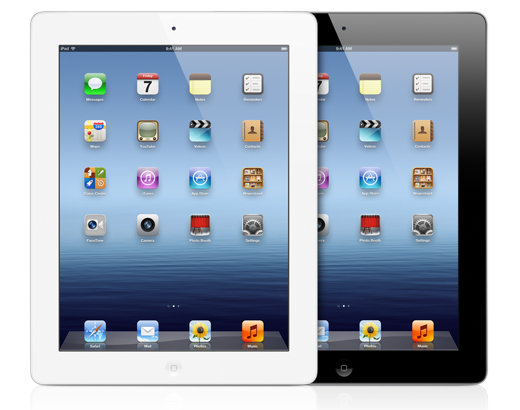 We are currently trialling iPads looking into a very similar sounding Sixth Form scheme to yours and I would be very interested to hear a little more. @coxondj. Do follow me as I’ll keep updates regular. Just trialling netbooks, but know you’re right about the buy in – only 3 colleagues have started their own classroom blogs. Have you tried Diigo with its sticky notes? super interesting, thank you for sharing your thoughts. It so happened I just bought an Ipad for work. It’s a experiment (aiming at avoiding pen and paper, in a nutshell) and I’d like it to succeed so I’m eager to learn as much as possible from multiple sources. Your post arrived at the perfect time. Thanks again.